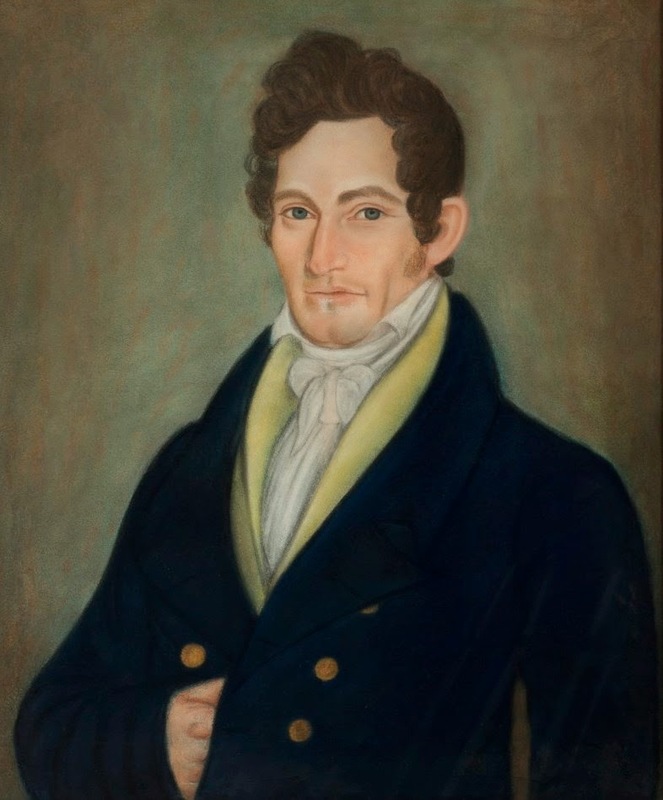 Weekend Historical Happenings: 8/30/14 - 8/31/14 ~ The History Girl! 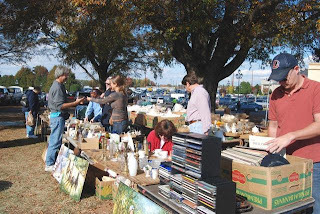 The Tewksbury Historical Society is hosting its 20th annual Flea Market, which is one of their main fundraisers, on Saturday from 8:00 am - 3:00 pm in the farm field located one half mile north of the village of Oldwick on County Route 517. The rain date will be Sunday, August 31st. There will be 113 vendors in attendance. Last year saw over 1,100 shoppers in attendance. There will be a $1 per car suggested donation to enter. Vendors will display old and new items of all types including antiques, toys and collectibles, farm fresh produce, household items, and more. The Pottersville Volunteer Fire Company will be serving breakfast and lunch to benefit their operations. Early birds can gain admission from 7:00 - 8:00 am at a cost of $10 per person, payable at the gate. Early Birds should enter the site via Homestead Road. The Tewksbury Historical Society booth has an eclectic mix of multiple items, all donated by Society members and residents of Tewksbury. All proceeds benefit the Society's building fund. Bring your antiques for appraisals by a team from Kravetz Auctions. Enjoy morning performances by musicians from the Music Academy in Toms River, followed by vocal and guitar performances by Sal Aversano in the afternoon. View and purchase new publications by New Jersey authors. Look for breakfast and lunch foods from 4 Bee's Polish Deli and delicious baked goods made by OCHS volunteers. Other Historical Society volunteers will be selling OCHS publications, used books, genealogical research booklets, and interesting antiques. There's a treasure for everyone! Tour the OCHS museum and its current exhibitions. The event will be held rain or shine! 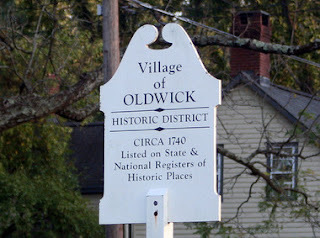 For more information, visit www.oceancountyhistory.org. Long before NJ became known for its wineries, another alcoholic beverage was the king of the Garden State. Trace the history of Apple Jack, also known as Jersey Lightning, and how its production was a major industry in the Garden State at a presentation at Historic Speedwell. This program is included with regular admission and begins at 2:00 pm. Admission: $5.00 per adult, $4.00 for seniors and $3.00 for children. Historic Speedwell, 333 Speedwell Avenue, Morristown, NJ. For more information, call 973-285-6550 or visit www.morrisparks.net. Come visit Waterloo Village between 10:00 am and 5:00 pm for a day in this historic Morris Canal town. Enjoy boat rides on the Morris Canal, Smith's Store - a furnished canal-era store with hands-on activities, blacksmithing, see the operating gristmill, guided tours of 1859 Methodist Church, the Canal Museum - with exhibits and videos, and guided walking tours of the village. Admission is free. Waterloo Village is located at 525 Waterloo Road, Byram, NJ. For more information, call 973-292-2755 or visit www.canalsocietynj.org. Streams provided an important water supply to farms. At Fosterfields Living Historical Farm, follow a stream with a guide to see where it goes, and what life it sustains. Tour begins at 1:30 pm and ends at 2:30 pm. This program is included with regular admission. On Saturday, Howell Living History Farm will hold its Annual Plowing Match and the public is invited to watch and participate in the event, which features old-fashioned plowing and log pulling competitions, a craft and pony rides for children, and lots of food, music and old fashioned fun. A dozen teams of draft animals from New Jersey, Pennsylvania, and New York are entered in the match, which tests the performance of farmers, their horses and oxen, and their plows as they turn furrows. Judging will take place from 10:00 am until 12:00 noon. Winners of the Fine Plowing Class will receive trophies, ribbons and cash prizes. Members of the general public aged 16 and older can try their hand at plowing in the Visitor Plowing event. Winners receive ribbons. Sheep, chickens and pigs can be seen in the farmyard area all day. Beginning at 12:00 noon, hungry plowers and visitors can lunch on roast pork sandwiches, a chicken BBQ, Kosher franks, and Howell Farm potatoes and sweet corn. Noontime festivities will include music by the Jugtown Mountain String Band, door prizes, and plowing award presentations. After the plowing competition, visitors can watch as teamsters use their animals to navigate an obstacle course. The 22nd Annual Labor Day Parade, co-sponsored by the American Labor Museum/Botto House National Landmark, the Borough of Haledon and the City of Paterson, is scheduled for Sunday. Step-off will take place at 1:30 pm at the Botto House in Haledon. The parade will finish at the Great Falls Historic District in the City of Paterson, where the Great Falls Festival will be taking place. This year's Labor Day Parade will be led by Grand Marshals Peter Busacca, President of the Hudson County Central Labor Council, AFL-CIO and Mike Schneider, President of the Bergen County Central Trades & Labor Council, AFL-CIO. Peter Busacca is a member of Local 59, International Alliance of Theatrical Stage Employees (IATSE), AFL-CIO. He currently works to recruit high school juniors and seniors from across the State of New Jersey to become apprentice stage technicians. Mike Schneider is a member of Local 32 of the International Association of Heat and Frost Insulators and Allied Workers (AWIU), AFL-CIO. Both Busacca and Schneider are lifelong unionists who lead Labor Councils which represent a total of over 100,000 New Jersey union members and their families. Have old-fashioned fun with games played by the soldiers and the Wick family. Try your hand at nine-pins, quoits, trap-ball, nine-man morris, fox and geese and other 18th century games. The event will run continuously from 1:30 - 4:00 pm at the Wick House at Jockey Hollow within Morristown National Historical Park, Morristown, NJ. Cost: Free. For more information, call 973-543-4030 or visit www.nps.gov/morr.